Farrar, Straus and Giroux, 9780374525620, 208pp. 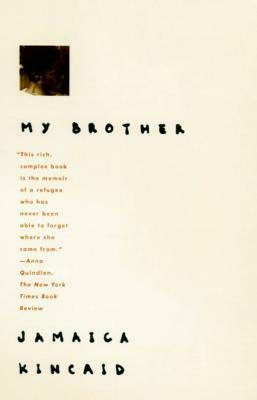 Jamaica Kincaid's brother Devon Drew died of AIDS on January 19, 1996, at the age of thirty-three. Kincaid's incantatory, poetic, and often shockingly frank recounting of her brother's life and death is also a story of her family on the island of Antigua, a constellation centered on the powerful, sometimes threatening figure of the writer's mother. My Brother is an unblinking record of a life that ended too early, and it speaks volumes about the difficult truths at the heart of all families. My Brother is a 1997 National Book Award Finalist for Nonfiction.